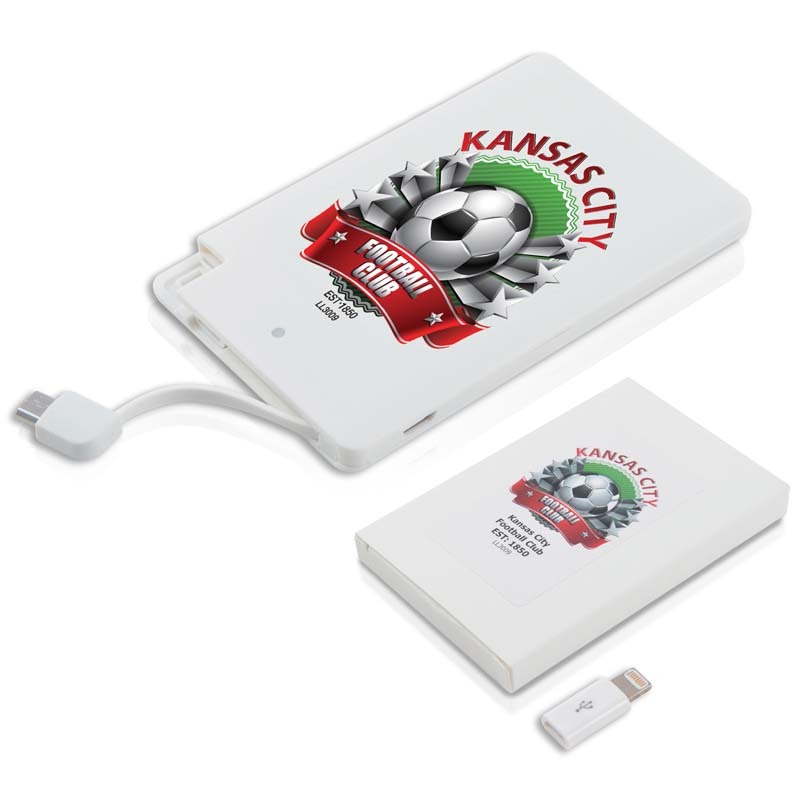 2200 mAh portable charger with A Grade Li-Po battery for your mobile phone or small device that can recharge from a USB port. Includes integrated micro usb cable & separate 8 pin adaptor housed in case. Blue LED indicator. Recharges most phones on the market 1 time. Not supplied with micro usb cable for charging Power Bank. Optional box decoration or EVA black zippered pouch available at additional cost. 1 Colour Print available at a lower cost. Please call us for a quote.